I did something very American last weekend. I baked some apple pie. I’m not a pie maker, but the whole autumn-ness of this season struck me and I decided I needed to eschew crumble for something doughy, flaky and piping hot. My husband picked up some really good pie crust from the Co-op – so much better than Pillsbury (hey, don’t judge me, I don’t judge you) and it proved to make all the difference. I found this recipe from AllRecipes.com, which is a trusted source for really American foods like pie, casserole, meatloaf, Yankee pot roast, anything that uses Campbell’s cream of chicken soup as an ingredient and leads to heart disease. You know where I’m going with this. 2. Mix together the sugar, flour, cinnamon, nutmeg and lemon peel. 3. 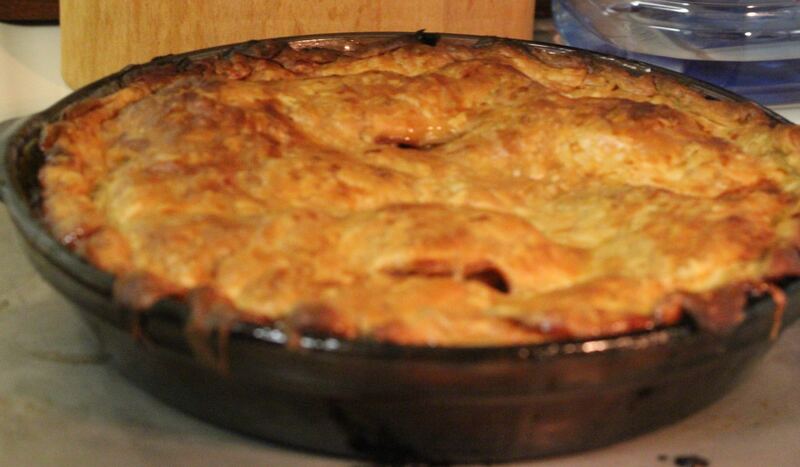 Line one crust in a 9-inch deep-dish pie pan. Layer 1/3 of apples into pie crust. Sprinkle with sugar mixture and repeat until done. Sprinkle with lemon juice and dot with butter. 4. Place second pie crust on top of filling and flute the edges. Cut vents in top crust and brush with milk for a glazed appearance if desired. 5. Bake at 425 degrees F (220 degrees C) for 40 to 50 minutes. The end result? Utter deliciousness. My son woke up yesterday asking if he could have apple pie for breakfast. When I picked him up from school, he asked when he could have apple pie for dinner. We had chocolate cake in the house and he had no interest in that. The pie was the thing. The only thing I would change is to extra butter the pie pan because it did stick a bit (and will be a nightmare to clean up *sigh*), but otherwise a successful pie effort all around. Posted on 22, October 2014, in Food and tagged AllRecipes, apple pie, autumn, baking, dessert, fall, food, pie, pudding, recipe. Bookmark the permalink. Leave a comment.